Acer-Ferrari Liquid E Ferrari Review, Price, Color – Where To Buy? 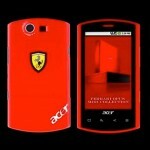 Acer lures all Ferrari lovers with brand new smartphone in collaboration with the Italian sports car company; Acer is out to reveal the latest device based on Google’s Android 2.1 [éclair] OS. But it is yet to be seen if the handset is able to receive the updated Android 2.2. Handset which is named Liquid E Ferrari turns out to be only a limited edition device from the … [Read more...] about Acer-Ferrari Liquid E Ferrari Review, Price, Color – Where To Buy? Chrome OS, Availability, Pricing, Reviews – Will It Be In India Anytime Soon? 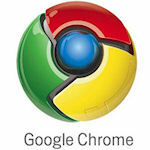 I’m sure many of you are eagerly awaiting Chrome OS from a very long time. It was Acer which heralded the news of Chrome OS being launched soon. Well, Digitimes says that it will be released this month before the holidays. The information was leaked out by ‘component players’ the middle men, who are busy working on iPhone 5, and still can find time to make such … [Read more...] about Chrome OS, Availability, Pricing, Reviews – Will It Be In India Anytime Soon?